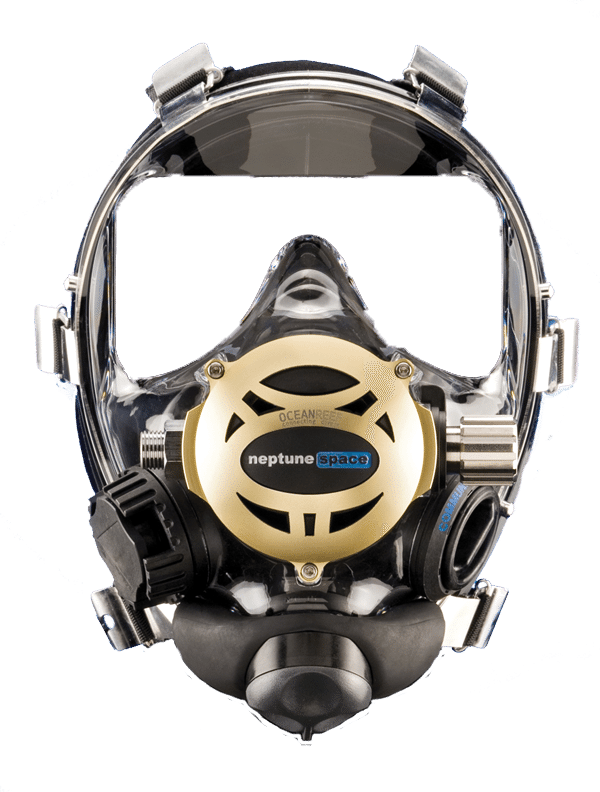 The Heptune Space Predator is the newest innovation in the Neptune Series of full face masks. 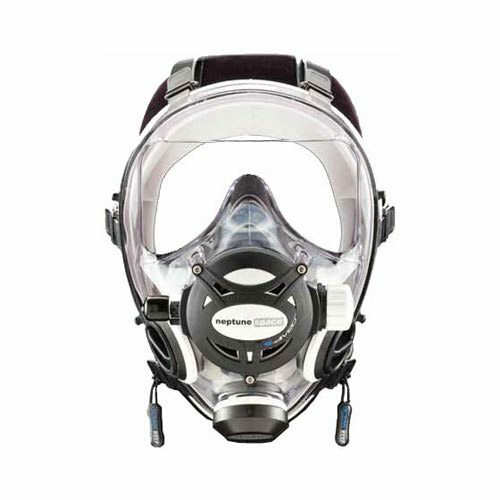 Listed in the 2010 Buyers Guide in Sport Diver Magazine, this latest edition to the Neptune Space mask series is constructe with parts made of Anticorodal®, a lightweight and durable aluminum compounr used in aeronautics for applications requiring high mechanical resistance. 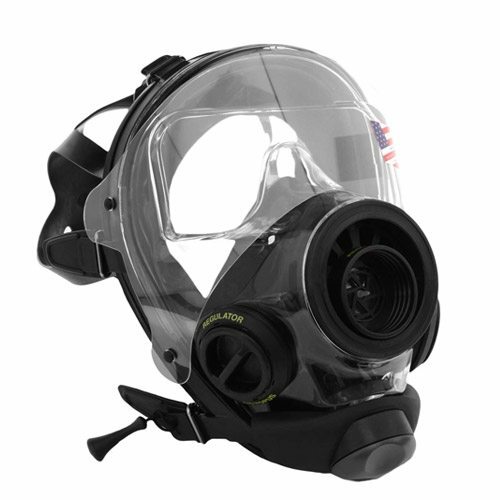 The front cover of the mask’s state-of-the-art integrated regulator is made of laser-cut Anticorodal®. 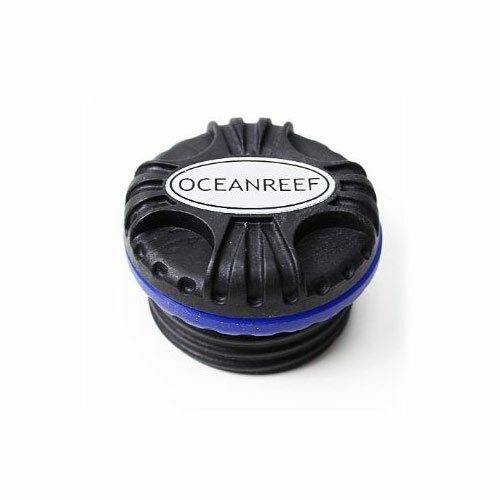 This portion of the regulator has a light gold finish recalling the helmets of the first deep water divers. The adjustable knob, its external trim screw, the laser-cut and hand finished frame, and the six fast release buckles are all made of AISI 316 stainless steel. 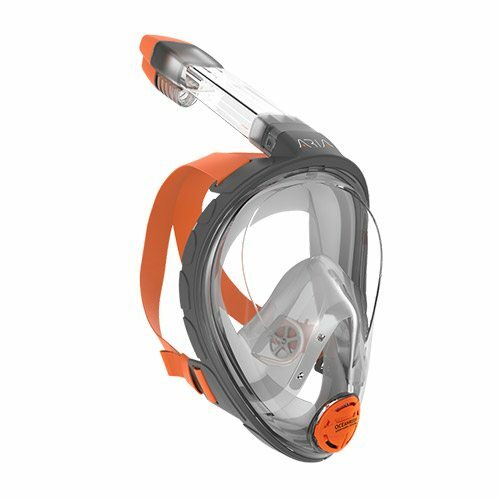 The sturdy feeling of the masks design allows divers to make sensitive micro adjustments to the airflow, even when using gloves.